This Light Award is sponsored by the Best Tools for Online Profits and processed through Kiva.org. Saida is 58 years old. Saida lives in Baku with her children. She was married, but her husband left her and their four children. SHe raised the children alone. Saida has been working as a shepherd for ten years, raising sheep. She makes many different warm sheep's wool vests and sells them. 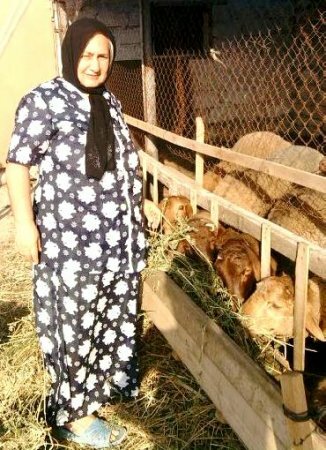 Now she needs 2000 AZN to buy sheep to develop her business and enlarge her flock.